Have you ever gone on vacation, only to find you packed too much stuff and your guitar does not fit in your vehicle? As you probably know, it can be a real disappointment to have to leave your instrument behind. 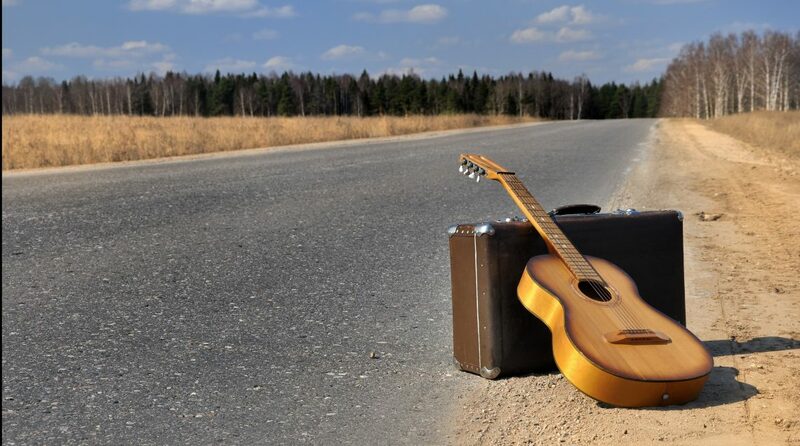 Most musicians love to take their guitar with them on their travels. Having a travel guitar means you don’t need quite as much space in your vehicle or suitcase to bring it on your next trip. If you are tired of leaving your guitar behind, here is a list to help you find the best travel and mini-guitars to easily take with you on the road. Who doesn’t enjoy sitting on the beach playing their guitar while feeling the warm ocean breeze on their back? Camping in the woods wouldn’t be the same without being able to enjoy the crisp night air while playing guitar tunes by the fire. With the right mini-guitar, you no longer have to miss out on your music when you are on the road. Stylish, great sound, and easy to play, this is one of the lightest full-scale options; over 40 percent lighter than a traditional guitar. The best travel and mini-guitars aren’t just for vacations or camping. Many people travel for business, such as truck drivers and airline attendants, for example. Also, those who live in small apartments and tiny homes may not have room for a full-size guitar. No one wants to miss out on enjoying their music just because of space constraints. Since travel guitars are small, they are also relatively inexpensive, even though their quality is quite high. 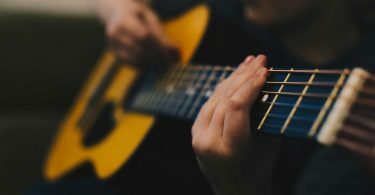 This makes mini-guitars a smart choice for beginners who may not know if the guitar as their instrument of choice yet. These smaller guitars also work for children due to their small size and scale, making them easier for small fingers to play. As a musician, it is important to be able to play whenever the mood arises and having a travel guitar allows you to do just that. Since these guitars are smaller in size, you can easily play one on a chair, plane or train seat with armrests without any difficulty. You can take travel guitars on planes, trains, buses and in your own car. Many travel and mini-guitars are compact instruments that manufacturers design to be lightweight. If you are a bicyclist or ride a motorcycle, it is easier to take a mini-guitar wherever you go. Travel guitars are also great for when you have to wait for someone. There are a lot of situations where you need to wait in life, so having a travel guitar on hand makes it easy to play your music wherever you go. You can play something while waiting on a plane, at a park to meet up for a dinner date, or even when traffic is keeping you waiting. No matter the location, you can bring out your travel guitar and share your music with those around you. A tense situation like a car accident with traffic completely stopped on the freeway can suddenly become a lighter almost everyone can enjoy. Do You Need an Acoustic or Electric Mini-Guitar? If you typically play an electric guitar, you may want to continue playing on one while you travel around the world. The issue with an electric guitar is that you also need an amp to hear the tunes from any distance. An amp is one more thing you’ll have to pack, which may take up more room than you have available. To avoid this issue, you can simply use the headphone jack on the travel guitar to play the music in your head. A jack works great if you are traveling alone, but if anyone else wants to hear your music, you need an amp. An acoustic guitar is a better idea for those impromptu campfire jam sessions. They essentially have the same design as a full-sized guitar but are toned down to a smaller, more manageable size for travel. The sound of this type of guitar will be softer, as well. The softer sound is because of the size of the neck and body of the instrument. Softer is not a bad thing – it just means you will not be able to disturb your neighbors quite as easily. The best option for a travel guitar is typically an acoustic-electric guitar. It gives you the best of both worlds, and if you have an amp to plug into it, you have that option. It is always best to be prepared for an impromptu jam session, so shopping for the best travel and mini-guitars will allow you to join in on the fun. Which Mini-Guitar Size is the Best for Me? You can purchase a three-quarter size guitar to help you save space in your trunk or even a half-size model. But if you want to play complex pieces of music on the instrument, you will also want one with a full-sized scale. 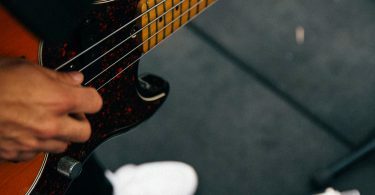 Reducing the number of frets you have available could make it impossible to play certain music. If the length of your guitar is an issue, then a headless style may be a great space saving tool. It also allows you to have a shorter length without sacrificing your frets. If you are purchasing the best travel and mini-guitars for your child, a quarter-size guitar is a good choice for their tiny fingers. Portability: When looking for a travel guitar, the main thing you want to guarantee is that you will be able to take the guitar wherever you go. If you are traveling on a bus, train or airplane, make sure it is the correct size to fit into the overhead compartments and designated storage spaces. If you will be walking or biking during your travels, you need a lightweight option that is easy to carry. Driving will give you the most freedom in the travel guitar you select, but it may still need to be smaller than a full-sized model. Playability: Some travel guitars have an unusual shape. This can make it difficult to hold and strum without a strap. Make sure you try playing the mini-guitar you want to purchase, so you can make sure you are comfortable using it. 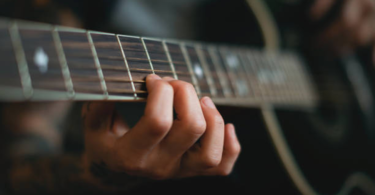 Sound Quality: A travel guitar is never going to sound like a full-size guitar, but to practice your music, you need it to sound as good as possible. Again, the best way to test the sound quality is to play the instrument. Durable Construction: Remember, you will be traveling with your guitar, so make sure the materials can withstand heat and humidity, as well as dry, frigid air. Your travel guitar may get bumped around a bit, too, so it must be durable, even if you put it in a case. Price: You can purchase most travel guitars at a relatively inexpensive price point. Once you decide to make a purchase, expect to spend anywhere from $50 to as much as $500. You want a great-sounding instrument, but you also want to keep the price relatively low. This is because travel can damage the instrument, especially when you don’t know who will handle it during transport. Even the best travel and mini-guitars are not the same as a full-size guitar for projecting and resonating sound. If you are new to mini-guitars, you may not get the same sound quality you are used to hearing with a larger instrument. However, for many musicians, being able to play while you are away from home is enough to make up for the lower sound quality. 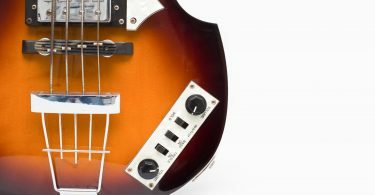 But for the traveling musician who wants the perfect sound, you should know you can’t get the exact same quality as you would on a full-size guitar. If you have enough space for a full-sized model, consider taking it instead of a travel version. If you like to record your music, remember, many travel guitars are not able to perform this function. The purpose of a mini-guitar is to save space while still being able to practice or perform your music anywhere you travel. The Traveler Guitar Ultra-Light Acoustic-Electric is the best mini guitar because it is stylish, has great sound and is easy to play. It is an acoustic-electric style guitar, and one of the lightest full-scale options that is available. The headstock is missing and so is the majority of the body, but the neck remains the same length. This allows the guitar to be over 40 percent lighter than a traditional guitar; making it weigh only about three pounds in total. It is only about 28 inches long, so it will easily fit into a carry-on compartment on an airplane. There is a leg rest on the one side to make it easier to hold the instrument. The bottom of the base has a jack where you can plug an amp in and play. If you do not like the lap rest feature, you can easily detach it from the body of the guitar. Some musicians find this guitar works best with a strap, so you can remove the bar from your Traveler Guitar Ultra-Light Acoustic-Electric Travel Guitar for that purpose. Since there is not a headstock on this model, the tuning knobs need to have another home. You can find them on the inside of the body in a hollowed-out area on both sides of the strings. The body is complete with a natural finish, and the neck is maple. This travel guitar has a full 22 frets and a piezo pickup to brighten the acoustic creations of the guitar. One thing to note is that changing the strings on this model is a bit difficult the first time you try it. Tuning is also odd because of the way they positioned the tuning knobs, but you will have no issues getting used to the style of the guitar. It also comes with a three-year warranty, so you can contact the company to address any issues with the model. 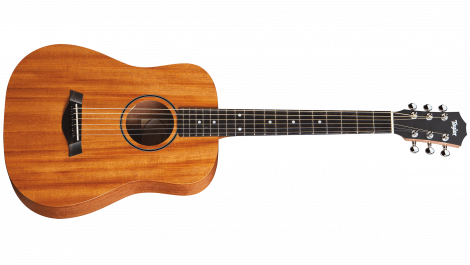 Another travel guitar that is high on this list is the Taylor BT2 Baby Taylor Acoustic Guitar. Although it is a beautiful mahogany guitar, it only has 19 frets. If you like to play a wide range of music, you may not want to have less than 22 frets. This little guitar is a three-quarter size model, so it packs a punch when it comes to sound. The volume this mini-guitar produces is impressive for a travel instrument. The quality of the sound is also nice. This guitar doesn’t produce that tinny sound often that smaller scale guitars often emit. It produces a nice range of tones, but if you are looking for a cleaner sound, you may get a tone that sounds muddier than you like. The Taylor travel guitar is fine for most music, but there are a few pieces that may need a cleaner tone. Finally, this is the perfect choice for an individual with a shorter arm span to pick up and play. The Martin LXM is a beautiful mahogany acoustic guitar they designed for travel. It is a three-quarter size guitar that is easier to hold for individuals who have shorter arms or fingers. The tone is nearly as perfect as on a full-size guitar, but the volume is quite loud, as well. The only major issue with this travel guitar is that they made it from high-pressure laminate instead of wood, which brings the quality level down somewhat. The Little Martin guitar features a three by three headstock, but there are only 20 frets on the fretboard, which makes it a great option for young ones who are learning to play the guitar. Since this is solely an acoustic instrument, there is no option to plug it in, which can be a turn-off for those who enjoy electric style guitars. This is the perfect instrument if you are looking for a travel guitar to play near the campfire, especially since it will only cost you around $300. However, if you are looking for more depth and the ability to plug in, you can always upgrade the model to get the additional features. The Gretsch G9500 is a great little guitar with an authentic look that is both unique and stylish. Many guitarists like the retro style this guitar features, too. It produces a sound quality similar to most full-size models, and the projection level of this mini-guitar is great. The Jim Dandy Flat Top is easy to play and comfortable to hold. Most people can comfortably play this guitar while standing without a strap, too. Some musicians say this instrument always seems to be perfectly in tune every time they pick it up to play, although they report some fret buzz on occasion. The nylon strings on this model are perfect for younger guitarists, but they may sound cleaner when you strum them rather than using a pick. If you are on a budget, the Gretsch G9500 Jim Dandy Flat Top will cost you less than $200. Even though the sound may not always be perfect, it is a great low budget guitar perfect for your travels. Fender guitars sound great, no matter what your skill level, so a parlor-size Fender model can work well for all your travel needs. The sound projection this guitar offers is perfect for indoor playing. But once you venture into an open area in the great outdoors, the surrounding noise may drown out the sound. The neck of the Fender Small-Body Acoustic guitar is a bit narrow compared to most, but it works fine for small hands. You may want to avoid using thick-gauge strings on this model until you are used to the width. It features a gorgeous rosewood fretboard with dot inlays. There are only 20 frets on this travel guitar, so if you need the higher frets, you may not want to purchase this option. The Fender Parlor Guitar also has a three by three style of headstock that is complete with chrome tuners. Fender made this travel guitar out of laminate wood, which is not as strong as solid wood, but it is sturdy enough for a travel guitar. For less than $200, you can have a vintage style guitar that stands up to the competition of most full-size models. If you are looking for a unique travel guitar that looks different from the rest, the Martin Steel String Backpacker Travel Guitar is the perfect option for you. Martin has designed it with an attractive a solid spruce top and a bell-shaped contour body. 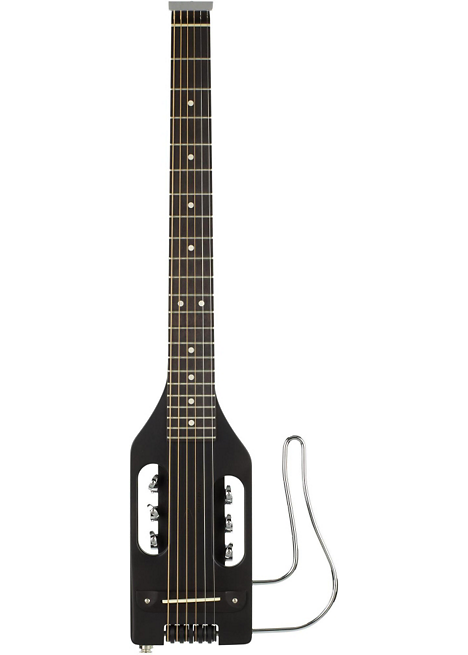 The Backpacker Travel Guitar is a smaller scale model that is easy for beginners to play; however, advanced guitarists may not like the fact this model only has 15 frets. It is a portable backpack guitar you can take on hikes into the great outdoors. The guitar is a bit unusual to play because of the shape of the body. You will not be able to sit down and play the guitar, but if you have a strap, it will only take a small adjustment period. The sound is not the loudest, but it works when you play along with another guitar. Picking the strings will give it a louder resonance, but plucking the strings sounds better when you are in an outdoor environment. For a guitar you can purchase for less than $200, many people consider it among the best travel and mini-guitars. Some people say this guitar does not seem to keep it’s tuning between visits to the guitar shop, so that may be an issue if you choose this travel guitar. The Luna Safari Series travel guitar has a lot going for it, especially for guitarists who want to have a smaller-sized instrument that conveys a sense of style. This is a beautiful guitar because its top has a red-tinged mahogany finish. The finish is satin, so this travel guitar has a lot of class in its overall aesthetics. 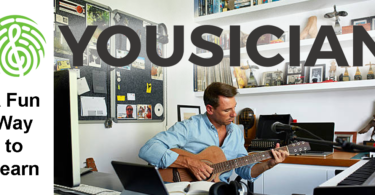 The full guitar is 35 inches, so it is more travel-friendly than most full-sized acoustics. As a three-quarter scale instrument, this guitar isn’t hard to for you to get used to quickly. It also produces a resonant sound you wouldn’t expect from a travel acoustic guitar. Luna added Celtic-inspired designs around the sound hole. The inlay is laser-etched so it blends nicely into the mahogany material. The fret inlays on this Luna Safari guitar are interesting because each fret marker represents a different phase of the moon. This is a nice reference to the Luna theme on the instrument. This guitar comes with a khaki gig bag, which adds an extra layer of portability to this mini-instrument. You can find the Luna in the range of between $100 and $150. The Yamaha APXT2 is an acoustic-electric travel size guitar that is a three-quarter size scaled guitar. It has a spruce top and the fingerboard and bridge feature a beautiful rosewood design. 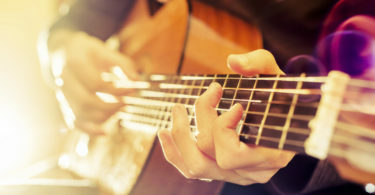 When you play the guitar acoustic-style, it sounds great; however, some musicians say it can be difficult to hear when there is a lot of background noise. When you plug it in, the sound is much more resonating. In fact, it is on par with many of the full-sized guitar options available today. There is a built-in tuner on the instrument, so when your strings are out of tune, you can easily remedy the problem. For less than a $200, the sound that you get from this guitar could not be better. Yamaha designed it in a slightly shorter scale, but the few frets that are missing are often not a problem for most guitarists. It is available in a few different colors, so if you like to express yourself through your instrument, you can do so with this travel guitar. The strings that come with this guitar are not the best quality, but if you take the time to upgrade the strings on this instrument, you will love the sound you can get from it. Traveler is a company dedicated to creating instruments modern musicians want to take on the road. They are lightweight, compact and efficient models that sound great and look attractive, as well. The Traveler Guitar AG-200EQ features a headless design that helps save space in your suitcase. The tuners are at the base of the bridge and there are built-in electronics on the body. This is the first model the company created with acoustic features, as well as electric. It comes with a full-scale design, which makes it sound more like a full-sized guitar than many other travel options. It does not provide a rich bass sound, but you can easily play a wide range of musical tones. There is a built-in tuner on the guitar, as well as a headphone jack that allows you to play without the sound. Once you plug in the guitar, it can project the sound a lot more. You could even use it in a gig, as long as you are not going heavily into the bassier tones of the instrument. The Traveler guitar comes in a few different colors, so you can express your creative side with a natural or a black glossy finish. Having the best travel and mini-guitars are important for musicians, especially when space is limited in their vehicles. The Traveler Guitar Ultra-Light Acoustic-Electric is the best option for most guitarists needs. It features a headless design that takes up little space and produces a sound that is not that far off from a full-size guitar. It is a full-scale model, so it does not hinder your play style at all. All these best travel and mini-guitars on this list are viable options. Whether you are looking for a guitar to take on vacation or one that accommodates your child’s small arm span, there is a model that is perfect for you. 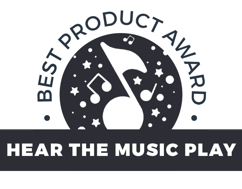 So, take a look at this review and consider your options, so you can enjoy a night of sweet music by the campfire, on the beach or even in a traffic jam. Well a travel guitar isn’t something I’d ever considered before. I’ve always just made the space for my acoustic no matter the distance. Or, let’ say just accepted the space had to be made. Maybe I’ll have a look next time I get a chance, see how these feel to pick up. Hey or just stick to the uke!